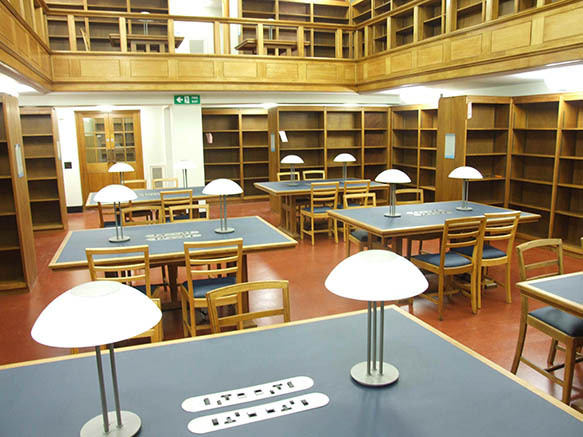 All desks have been refurbished and equipped with power and data sockets for all users to use their laptops. 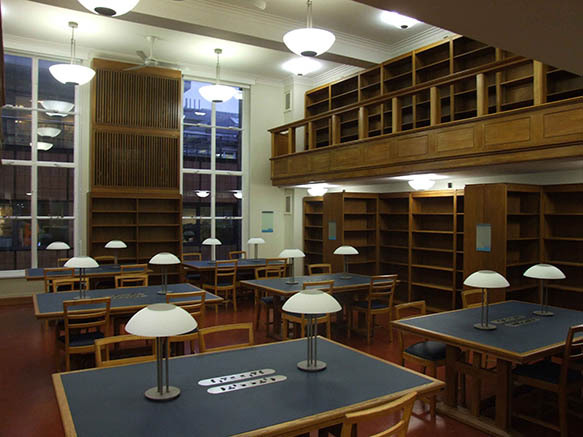 Former lighting trunking running across the centre of the tables has been removed and replaced with modern light fittings, to give readers more space to use large Arts folios and computers. 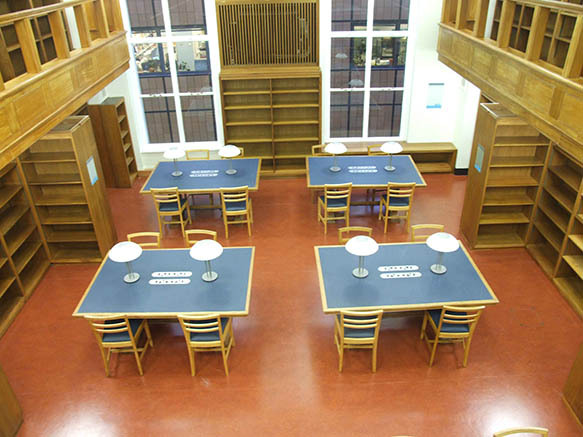 All reader seats have been refurbished. 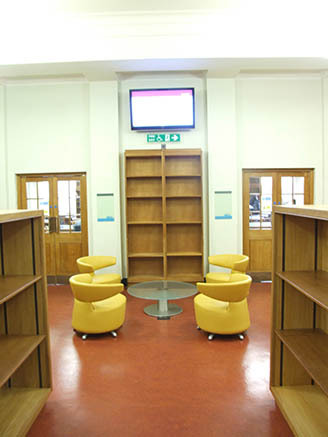 The original oak bookcases designed by Richardson have also been refurbished. A LCD screen has been installed to display a slideshow of information for users. 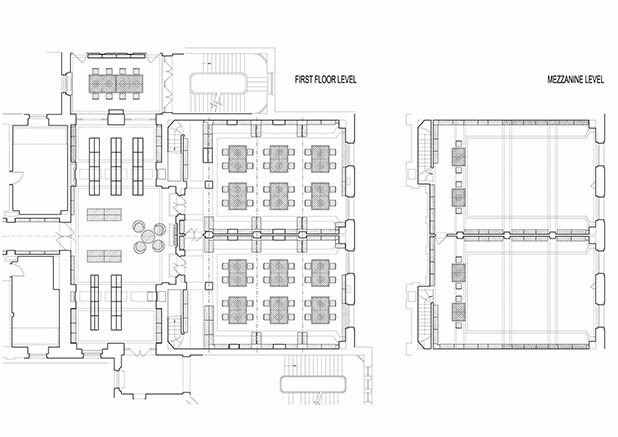 Mechanical comfort cooling is now installed to improve environmental conditions in the reading rooms.